Hart St. Martin takes us back to the lands of Garla and Thristas in Protector of Thristas, a novel that takes place fifteen years after the tumultuous One Day War. Rinli is the daughter of Korin and Lisen, and due to a prophecy created at her birth, she’s destined to be the Protector of the desert land of Thristas. While trying to guide Rinli on her path to becoming Protector, Lisen is faced with something far more challenging than ever before: she must do everything in her power to gain her teenage daughter’s long-lost sense of trust. 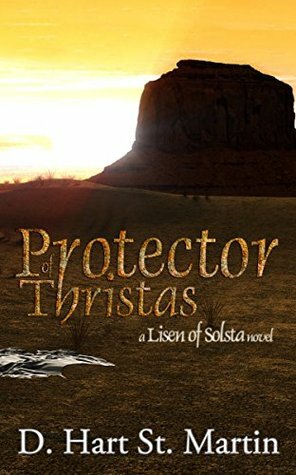 After becoming so invested in the Lisen of Solsta trilogy, I was thrilled to grab a copy of Protector of Thristas. There’s nothing I enjoy more than watching a fantasy world evolve over generations. Lisen and Korin have three children – Rinli, Nasera, and Insenlo – but Rinli is the only one who has a prophecy that she must fulfill. 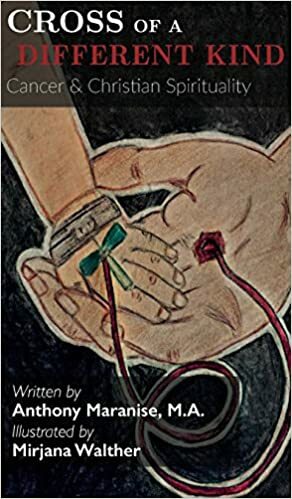 Through highly emotional moments in the novel, the story definitely emulates how exhausting it is for the whole family when they are all separated. The story jumps between Avaret (the city where Lisen rules as Empir of Garla) and Thristas, where Rinli is required to stay for periods of time. The two lands have a very tense relationship, which forced Lisen to designate Rinli as the Protector of Thristas in an attempt to resolve these issues. As a result, Rinli and Korin must travel between the two lands several times a year. As a sucker for romantic subplots, I loved seeing how fifteen years of marriage has impacted Korin and Lisen – due to the constant traveling on Korin’s end, they’ve grown even closer than they were in the first trilogy. Their bond even causes Korin to develop psychic-like powers, where he can sense when something bad is happening to Lisen or Rinli. One of my favorite things about this novel is how Rinli has Lisen’s stubbornness and Korin’s perceptiveness, and her development throughout the novel kept the story captivating and fun. Something that separates her from her mother is that Rinli has an affinity for the desert land of Thristas, and her loyalty to Thristas is compounded by her close relationship with Madlen, her most trusted companion. She is especially resistant to the idea that she has her mother’s magic abilities, and this gets her into trouble at a few points in the novel. Themes of forgiveness and trust pop up throughout the novel, highlighting the tense mother-daughter relationship between Lisen and Rinli. Hart weaves this tension throughout the entire plot, bringing the reader closer to these characters. Lisen can’t forgive herself for sentencing Rinli to her fate as the Protector of Thristas, while Rinli struggles to trust her mother. When Rinli discovers she may need her mother’s wisdom in order to understand her responsibility as a Protector, the two begin to develop a relationship. Protector of Thristas is an emotional rollercoaster, to say the least, and it’s a breath of fresh air in a sea full of action-forward fantasy novels. As entrenched in fantasy as it is, this novel does a beautiful job of capturing raw human emotions of happiness, anger, sadness, anxiety, and fear, especially when dealing with challenging mother-daughter relationships and the connections between a parent and a child. The cliffhanger ending left me feeling some of those emotions myself, and I can’t wait to see if Hart will continue sharing more adventures from this world.